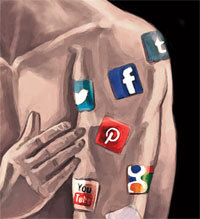 Social media is the rage among people of diverse persuasions. It is acclaimed as the critical agency behind last year’s political revolutions in the Arab world. Politicians, scientists, activists, artists, even sportspersons find it indispensable. Last heard, Iran’s political establishment was trying to shed its bellicose attitude towards Facebook. Only a few, then, would associate social media with a dystopia akin to that described by George Orwell in his 1949 classic 1984. Writer David Eggers is one of them. 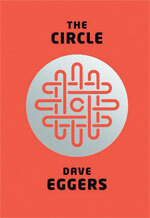 But the villain in his new novel, The Circle, is not the totalitarian state. The Ministry of Truth of Egger’s novel is the eponymous fictional corporation that sometimes seems akin to Facebook, at other times to Apple and at some other times to Google. Having devised TruYou, a product that combines all your passwords, preferences and payment systems into a single account, the California-based corporation is trying to trace the evolution of human genetic code, to map the farthest reaches of the universe, create microchips that can be placed in every child (to end abduction) and most terrifyingly capture every moment of the day across the world on searchable high-definition video. All this, promise honchos of this corporation, is for a better world where international transparency is assured. Eggers’ stance on social media is unequivocal; it is clear he sees no upside to the trade-off between connectivity and privacy. The writer himself is a social media recluse: he has tweeted exactly twice, back in 2009. In an interview to The New York Times he has stated that he has written the book from a position of ignorance. Not withstanding his ignorance about social media, Eggers is, by and large, prescient. But he is no Orwell. There is nothing prophetic about The Circle. Scan the Internet and you will find numerous articles on the downside of social media. Transparency is a subterfuge managers at social companies adopt to advertise their products for mass consumption. We live in times when the media—including social media—is replete with stories about the National Security Wars in the US and yet continue to post quotidian details on Facebook and Twitter. Eggers also betrays a lack of understanding about how social media corporations work. They know better than to pressure their own employees to use the product to the point of exhaustion.